Today's project is my Design Team project for BlueMoonScrapbooking. this is gorgeous! Thanks for sharing!! Where did you buy the calendar?? Oh wow I love this project. Great idea for gifts! AWESOME project! Thanks for sharing!! iI love that calendar! You did a great job n that. Such a transformation!! Great gift project. Luv it. 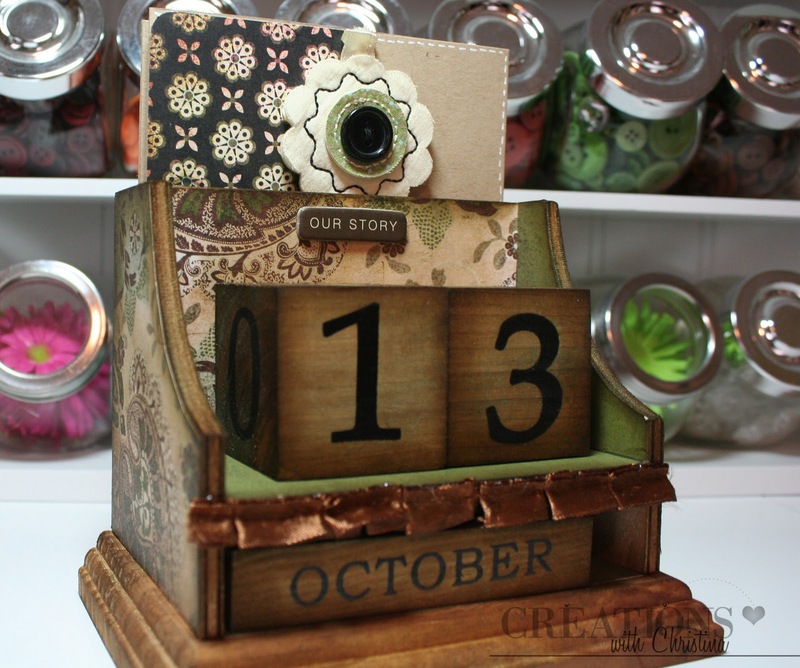 Where did you find the block calendar box. This is so cute. 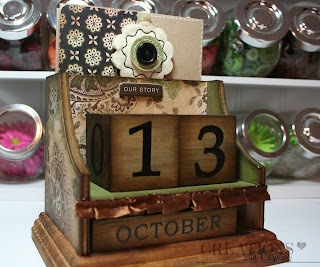 Hey Christina,Love the perpetual calendar, and I love the BG Capella line too. I only have a 6x6 pad but I want more soon. Thanks for sharing your beautiful work! I want on too!! Where can I find this calendar? I love your videos. Beautiful! where did you find the calendar? This is sooooo beautiful!! I love all of the rich colors you used!! LOVE This, what a great gift. Thanks for the video. I had seen it on Blue Moon scrapbkg and LOVEd it! Thanks for sharing because I was wondering how you had done it! You are awesome! Thanks for the video!!! Stunning work Christina! I love the informative video that was also at the same time a little card-making video. =) The Basic Grey Capella collection really is something. I really like the maya road satin pleat trim you used. Thank you for sharing. This is stunning. So beautiful. WOW this looks GREAT!!! where did you get the wood calendar? Oh wow Christina this is gorgeous, love everything about it.